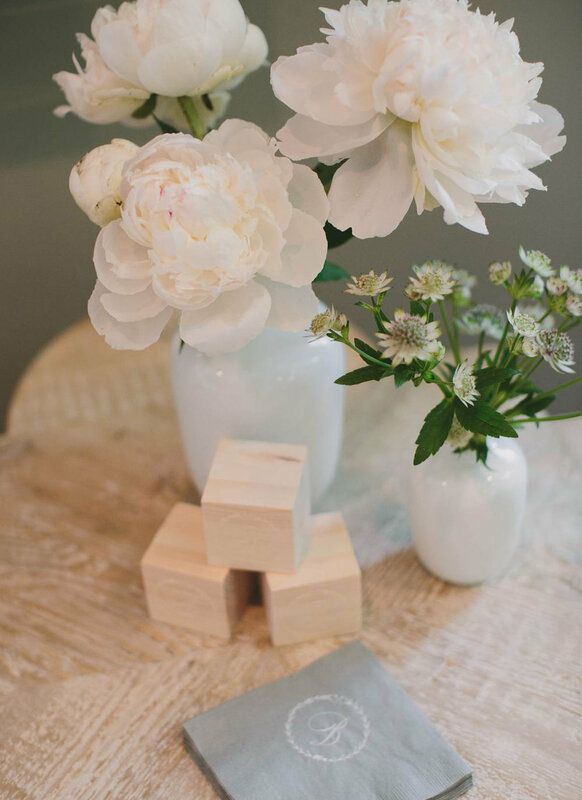 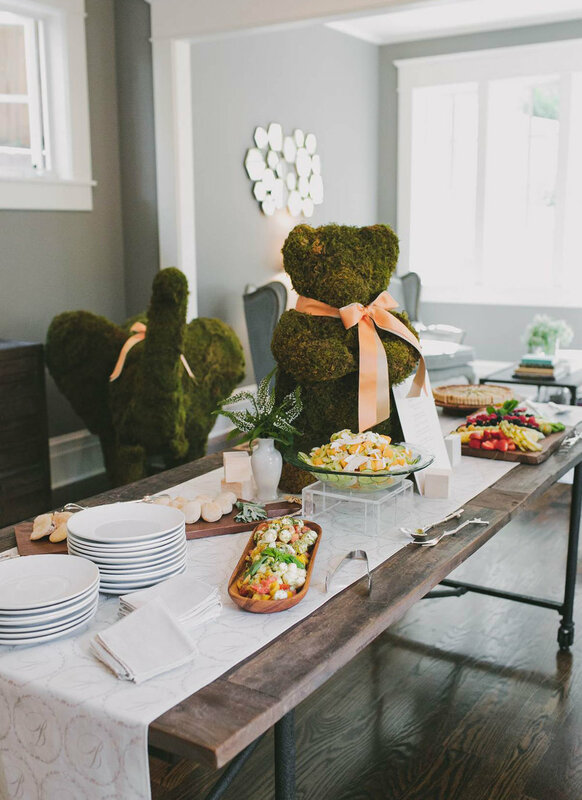 This June baby shower would thrill any expectant mother. 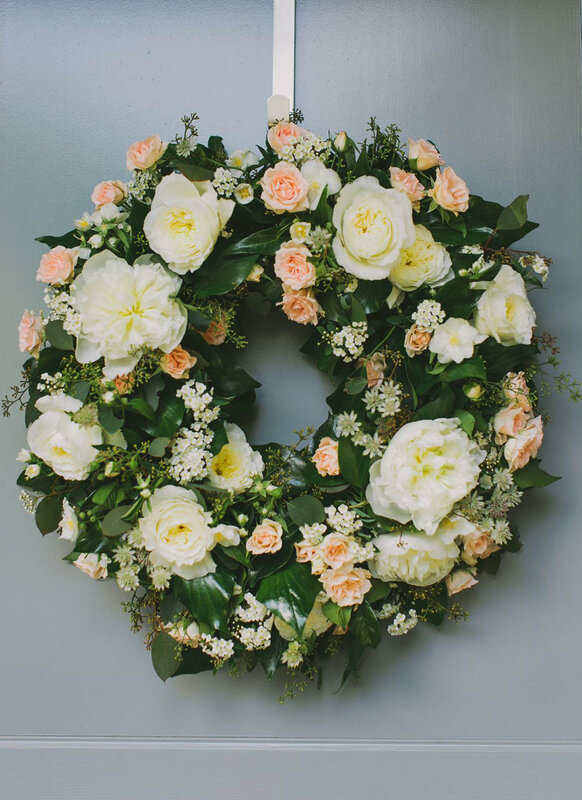 A stunning floral wreath welcomed guests at the front door of this private home. 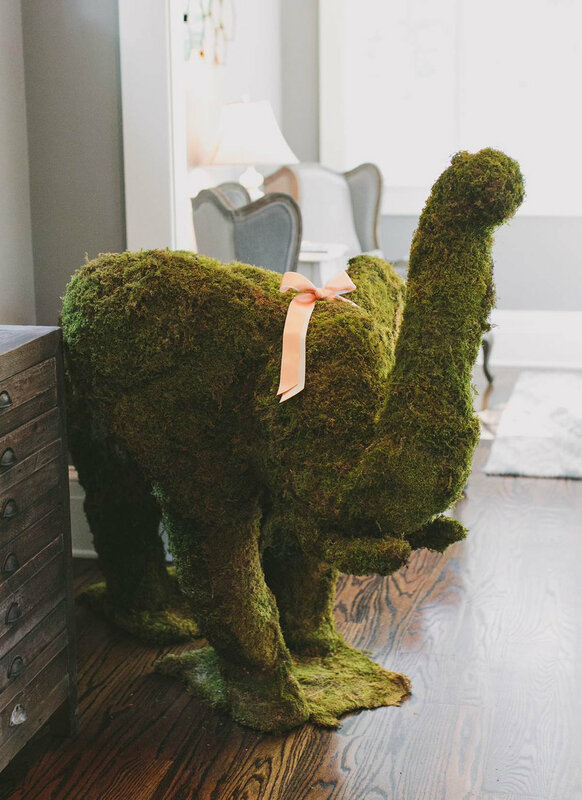 Once inside, three handmade topiaries—a giraffe, elephant and teddy bear adorned with sweet peach ribbon—brought a smile to every face. 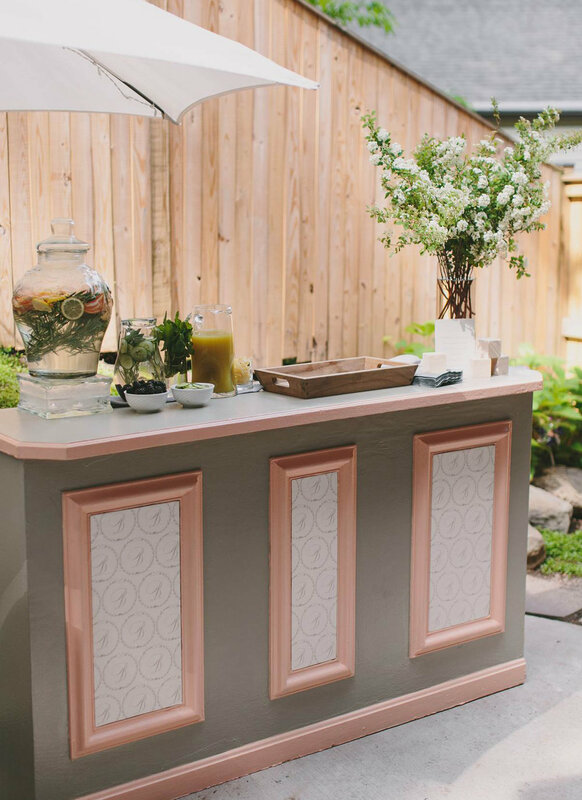 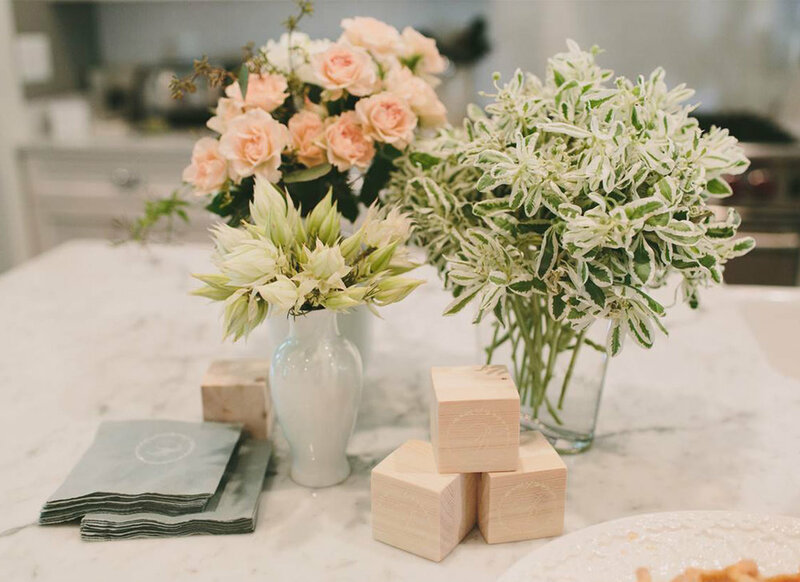 The custom-built beverage bar was painted in soft greys and peach, with a customized monogram adorning the front and a stunning asymmetrical arrangement on top.